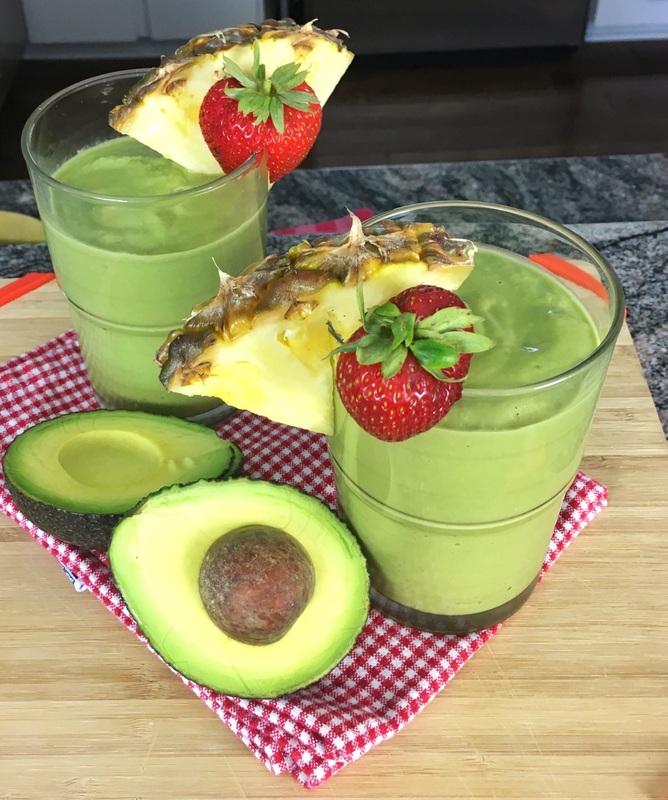 Avocado Pineapple Smoothie with Fit Men Cook! 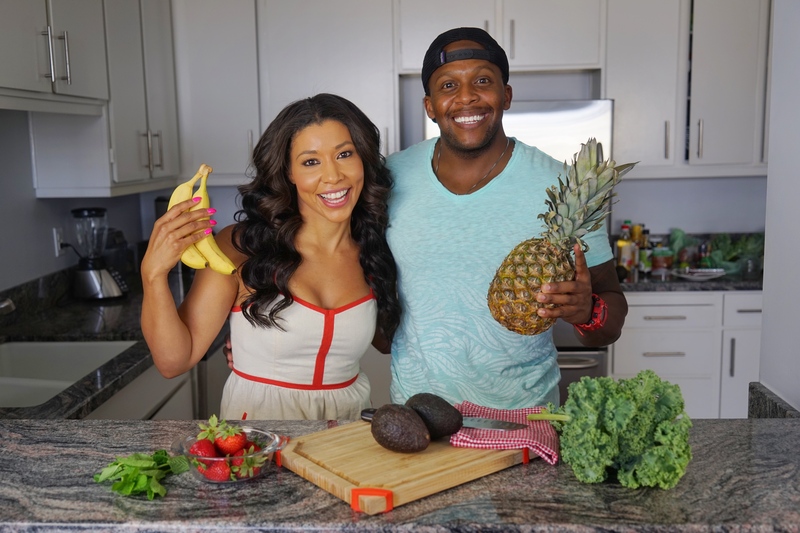 Jeanette Jenkins creator of The Hollywood Trainer Club and Kevin Curry creator of Fit Men Cook have joined forces again to bring you another healthy and delicious recipe. This Avocado Pineapple Smoothie is so good for you in so many ways! It’s packed with vitamins, minerals and powerful phytonutrients. 1 cup of pineapple gives you 100% of your daily VitaminC which will strengthen your immunity and help you fight illness. Avocados do not contain any cholesterol or sodium, and are loaded with heart-healthy fatty acids. Strawberries also have Anthocyanins which help burn stored fat, boost memory & reduce risk of heart disease & cancer. The entire batch serves two. We’ve added this Avocado Pineapple Smoothie recipe to The Hollywood Trainer Club! Try it! You can find this recipe in the Meals section under Recipes A-Z just type Avocado Pineapple Smoothie in the search box & you’ll find it! This recipe is also in the club with over 150 more healthy delicious recipes and weekly meal plans. Log into the club www.TheHollywoodTrainerClub.com click Meals then Recipes A-Z then type in Avocado Pineapple Smoothie. Congratulations to everyone that completed our 10 Day Summer Body Blast! If you didn’t have a chance to join us this time don’t worry the entire challenge will still be in The Club. All 10Days of workouts are in the Virtual Gym and you can start at anytime. 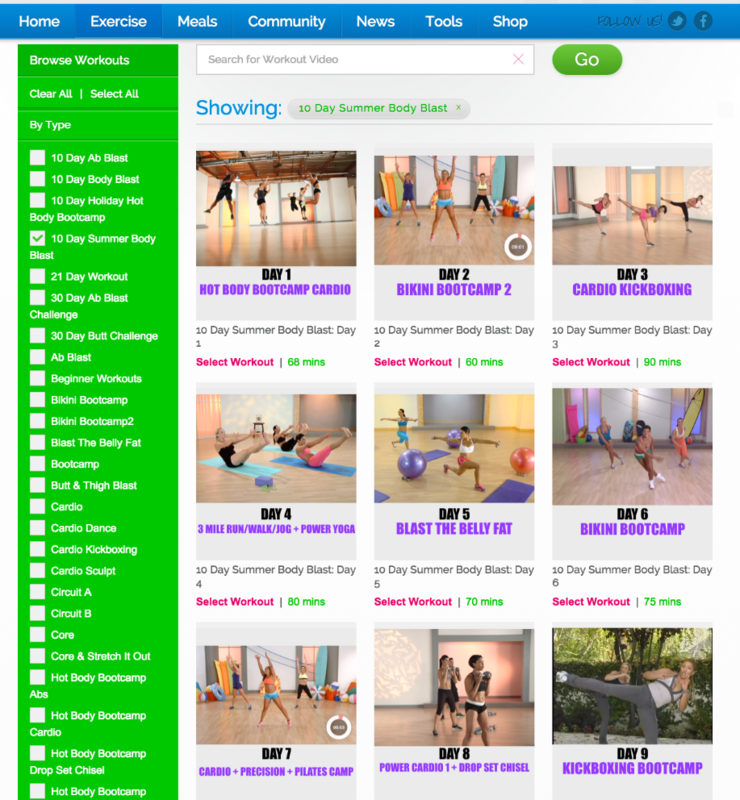 You can play all the workouts for the10Day Summer Body Blast from your phone or computer so no excuses! The sooner you get started, the sooner you will start seeing results. Let’s go! Just a reminder we also have 14 CHALLENGES in the Virtual Gym so you can start a new challenge today or this weekend. Grab a friend, pick a challenge and get to work! The sooner you get started the sooner you will achieve your goals!